AqualityBox® is used against Legionella and other micro-biology in drinking water installations. 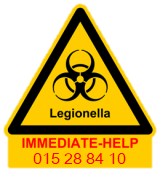 Across Europe, several hundred systems are in use against Legionella and other micro-organisms in hot and cold water circuits in hospitals, homes for the elderly and service flats. Please look below for some references. 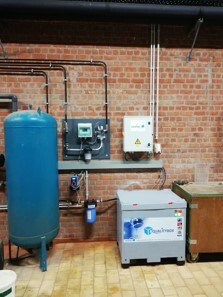 AqualityBox® is being used for permanent disinfection against Legionella in a General Hospital in Eeklo, Belgium. 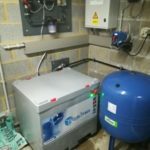 Since 2016 AqualityBox® is being used for disinfection of the hard and softened water (two circuits). 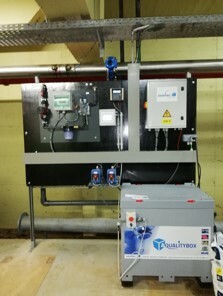 AqualityBox® is being used for permanent disinfection against Legionella in a military hospital in Brussels. 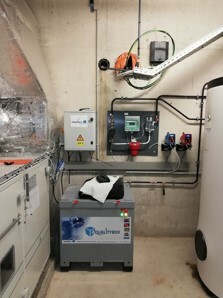 Since 2018 AqualityBox® is being used for disinfection of the cold and warm water. 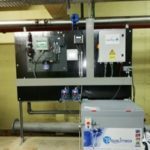 AqualityBox® is being used for permanent disinfection against Legionella in an Elderly Home including service flats in Saint Nicolas, Belgium. 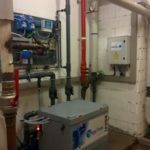 Since 2015 AqualityBox® is being used for disinfection of the cold and water sanitary circuits. The warm water temperature was reduced with 10°C, till 50°C. 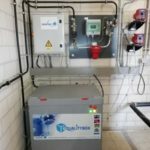 AqualityBox® is being used for permanent disinfection of ground water against E-coli bacteria in a psychiatric hospital in Bruges. 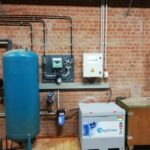 The ground water, buffered in an underground concrete tank is permanently disinfected using a re-circulating water circuit. 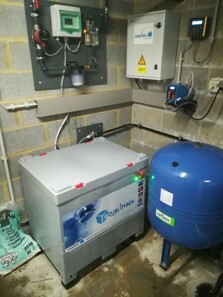 Since 2018 AqualityBox® is being used for the disinfection of ground water. 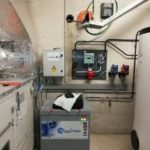 Since 2018 AqualityBox® is being used for disinfecting the cold and warm water circuit. Warm water is circulating at 40°C. 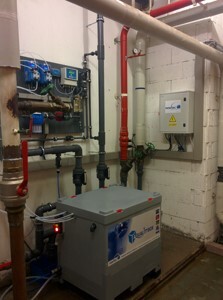 AqualityBox® is being used for permanent disinfection against Legionella in a belgian farmaceutical company. 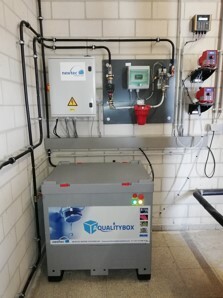 Since 2018 AqualityBox® is used for disinfecting a cold and warm water circuit.